Arterial hypertension is defined as blood pressure above 140/90 mmHg. However, a single measurement is not sufficient to diagnose hypertension. To confirm the diagnosis multiple blood pressure self measurements at home or measurements at the doctor’s office are necessary. Untreated hypertension significantly increases the risk for cardiovascular disease (heart attack, coronary heart disease, and stroke). In addition, longer persisting hypertension may cause renal insufficiency which can lead to renal failure and the necessity of dialysis. A concrete cause of the hypertension is often not detectable. In this case it is called essential hypertension. In some cases hypertension may be caused by another disease and is then called secondary hypertension. 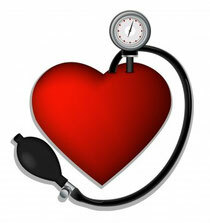 Besides lifestyle modification a wide range of drugs for the treatment of hypertension are available. The risk of experiencing complications of hypertension can be drastically reduced by careful medical treatment.